Your carpet takes a beating daily. Think about it. Every time you take a step in your home you are smashing down your carpet fibers, dragging in whatever dirt and oil is still on your shoes, and sometimes you spill stuff too. Carpet is just one of those modern luxuries we all take for granted, and it’s crazy the abuse it puts up with. Today we are going to talk about how you can take care of your carpets and clean them yourself. Cleaning your carpets regularly is more important than you think! To protect your carpets against dirt you should have a weekly vacuum schedule set up. Dirt is more than just an eyesore. Think of dirt like many many little sharp objects that cut and dig into your carpet fibers. They slice deeper into the yarn when you take a step and and drag or place your feet. Over time, dirt doesn’t just stain your carpet, it dulls the shine. This is because grinding dirt wears away the fibers of your carpets, which causes them to lose their sheen. Furthermore, these nicks and cuts don’t just damage and dull your carpets, they actually allow your them to stain more easily. That’s why it’s so important that you regularly vacuum your home. Aim for once a week. In high traffic areas and entrance ways, try to vacuum twice, weekly. Use a clean bag and filter. Nowadays, more and more vacuums have traded in traditional vacuum bags for reusable dust bins. Even still, it’s important to keep your dust bin and filters clean. That’s because the primary reason bagless vacuums stop working very well is because the filters are neglected. Make sure to wash or replace your vacuum’s filters frequently. A good rule of thumb is do so every 2 to 3 months. Furthermore, don’t wait until vacuum bags are bursting at the seams to replace them either. Once bags are approximately three quarters full it’s time to start using a new one. 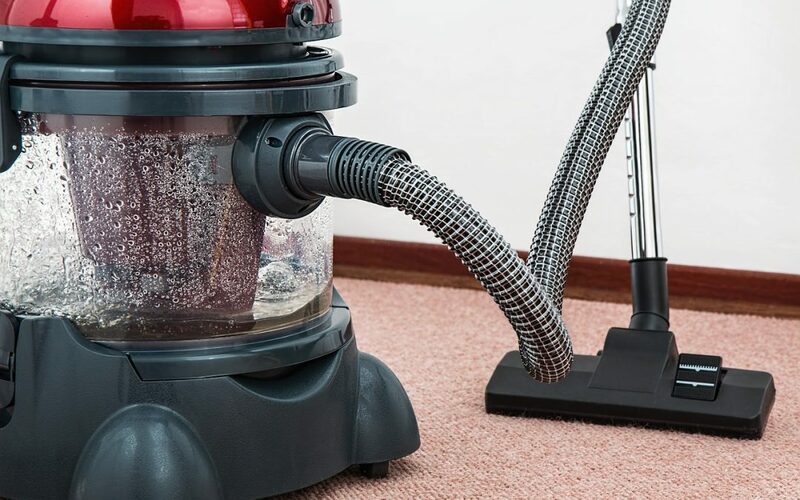 Make sure when you vacuum, you move at a pace that the vacuum can remove as much dirt as possible. You don’t have to spend all day moving at an ant’s pace, you can use your judgment. Make sure that if you are making only one or two passes at low-traffic areas, that you make two or three passes in high traffic areas. A couple slow-paced passes are more effective at removing dirt than fast passes. You can also use mats inside and outside of your home to keep out. You can use coarse mats outside your doors remove soil. Water-absorbent mats inside prevent wet shoes on the carpeting. Many carpet makers suggest that you use professional hot water extraction cleaning your carpets. This often simply referred to as steam cleaning. Pretreat your carpet with a detergent solution, then a hot rinse solution, which is pushed with high pressure into your carpet before being vacuumed out. A steam cleaning process cleans your carpets deep and doesn’t leave soapy residue. You can rent or buy a steam cleaning machine. The more expensive models will include powerful water jets and suction, some come with a heating element heat the water. Steam cleaning yourself can be worthwhile if you understand how to operate the device and take the necessary time to clean your carpet fully. Every carpet is different, because every home has different occupants. Some carpets experience a lot of traffic and need cleanings regularly. Some carpets are in homes with pets and children. A good rule of thumb is to clean your carpet by vacuum about once a week and steam clean when you see colors becoming dull. If you wait until your carpet looks “dirty,” cleaning will be a bigger challenge and take longer. Before you steam clean, make sure you vacuum beforehand. 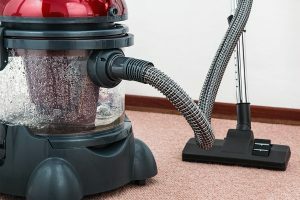 This will remove large particles of soil, and is similar to the idea of “sweeping before mopping.” If you’re really gung-ho, you can vacuum again after steam cleaning once the carpet is dry to make sure absolutely nothing is left behind. Another tip before you steam clean is to pretreat stains and highest trafficked areas. You can use a spray bottle to mix a drop of cleaning detergent in hot water and lightly spray the affected areas. Let the detergent sit for about 10 minutes before cleaning. Steam cleaners use a lot of water. Only do one pass with the soap and water solution. Then make another pass with the neutralizing rinse solution. Lastly, do two passes with no water. Wet carpet is a danger zone for mold and mildew. Let your carpet dry out after cleaning. Open windows, turn on fans, and use a dehumidifier if you want. Carpets take a beating. You walk on yours every single day. Keep that in mind when you are considering the frequency of your carpet cleanings. Try to at least vacuum once a week, and twice for higher traffic areas. Steam cleanings are a more powerful method to deep clean your carpets and require a lot more care. Try to do a steam cleaning at least every two months or more.